Overview: Initially, performed destructive testing in St. Paul to assist engineers. Did an estimate for the scope of repairs for the litigation case. Hired to do remediation work. 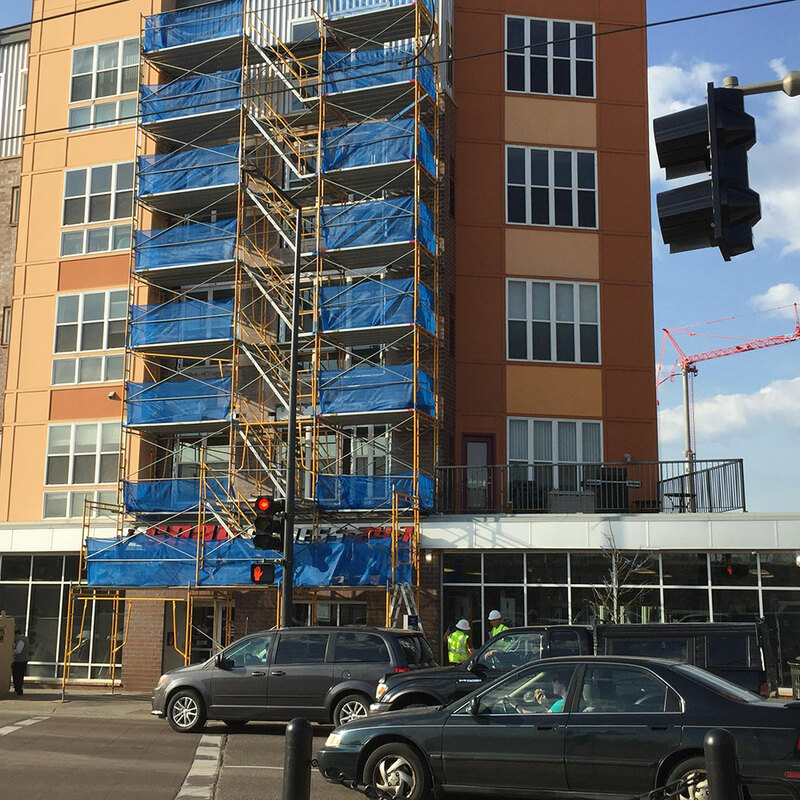 General Description: Five-story mixed-use retail and condominium space in St. Paul along a light-rail corridor. Initial Analysis: Water damage around windows, doorways, and decks on all sides of the building. Trapped moisture also found in areas designed for ventilation. 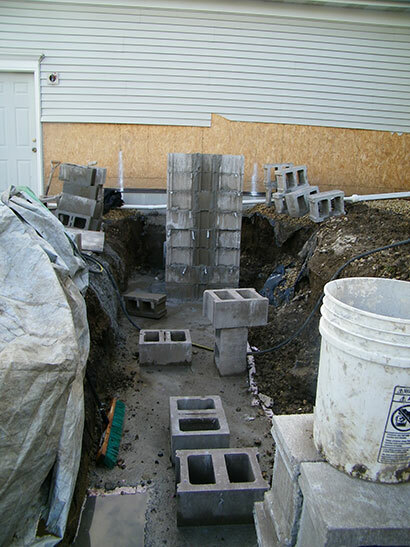 Litigation based on construction defects caused by improper architectural design and installation. Scope: Determine extent of damage and propose remediation process and cost. 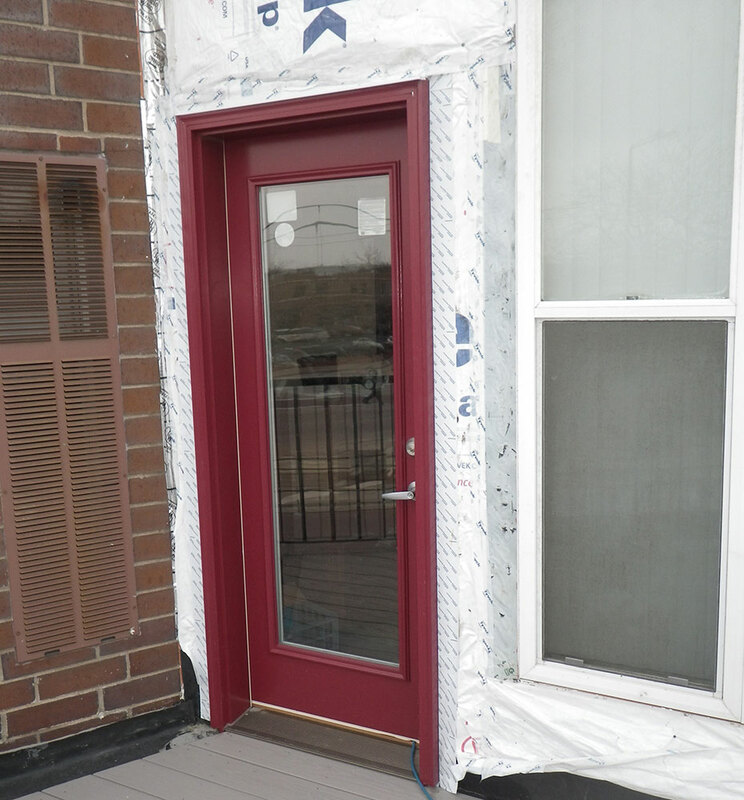 Remediation Scope: Removed brick work and siding around window and door openings and inspected for rot damage, which was extensive in some areas. 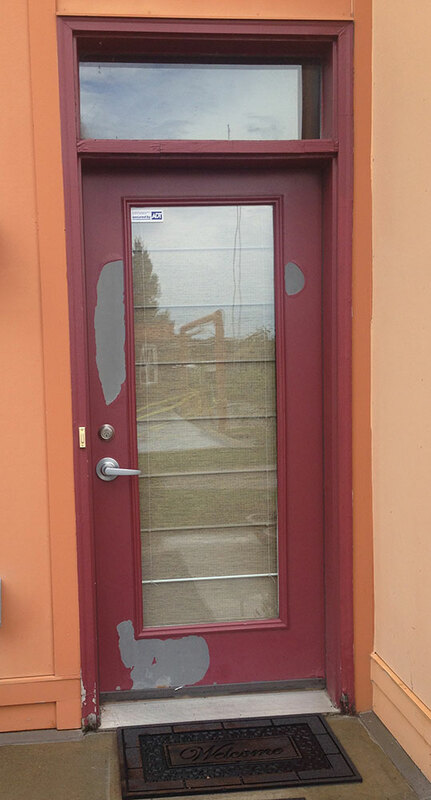 Reinstalled current windows or installed new windows/doors. 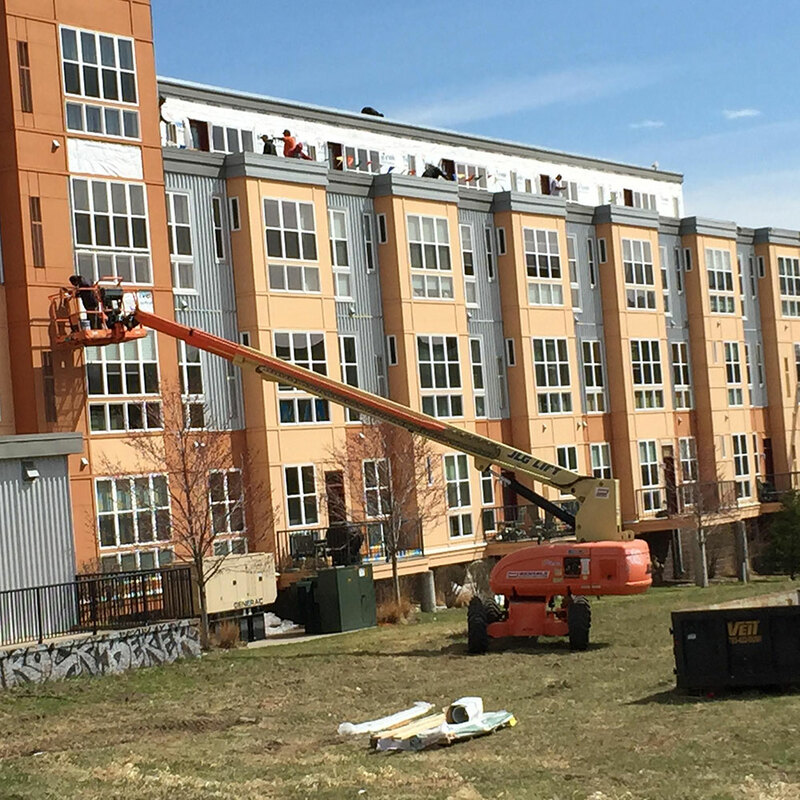 Reflashed correctly, reinsulated wall cavities, and redid brickwork and siding on more than 80 openings. Sealed and insulated areas to separate cold and warm areas to prevent more ventilation problems. 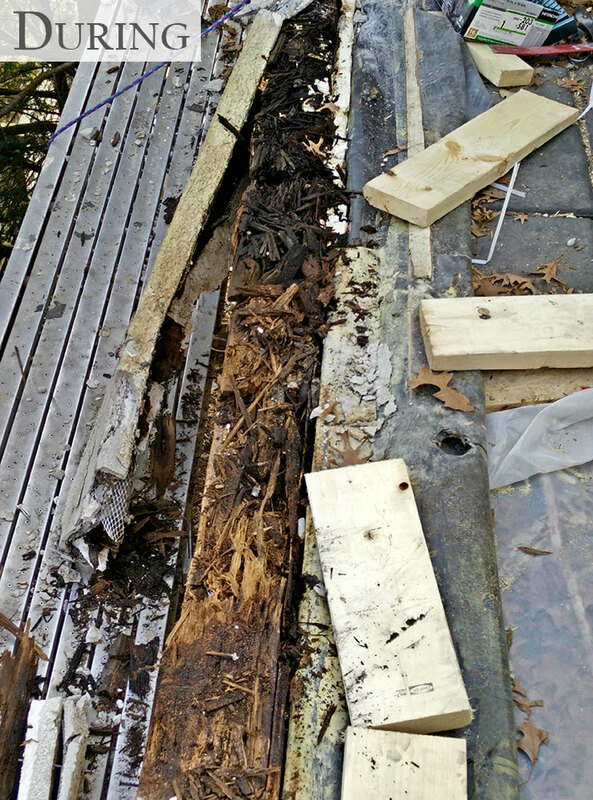 Removed decking and roofing material for patio areas to assess and repair as needed. 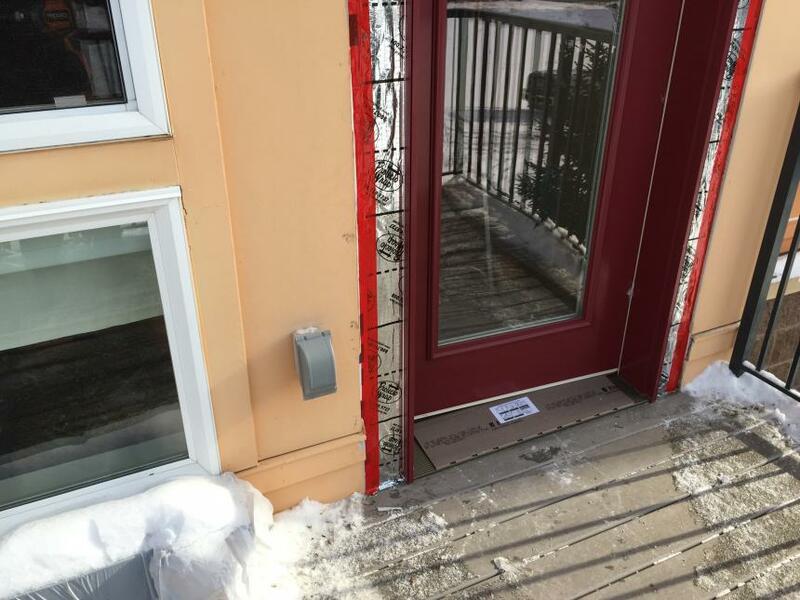 Challenges & Solutions: Intense proactive communication between association board, management company, tenants and residents due to the required access to interior spaces. Managed a sliding schedule required our team to shift as needed to keep the project moving forward. In-depth repairs required our team to be highly versatile and experienced. Determining priorities and developing cost-effective, long-term solutions for remediation work were based on a holistic approach. 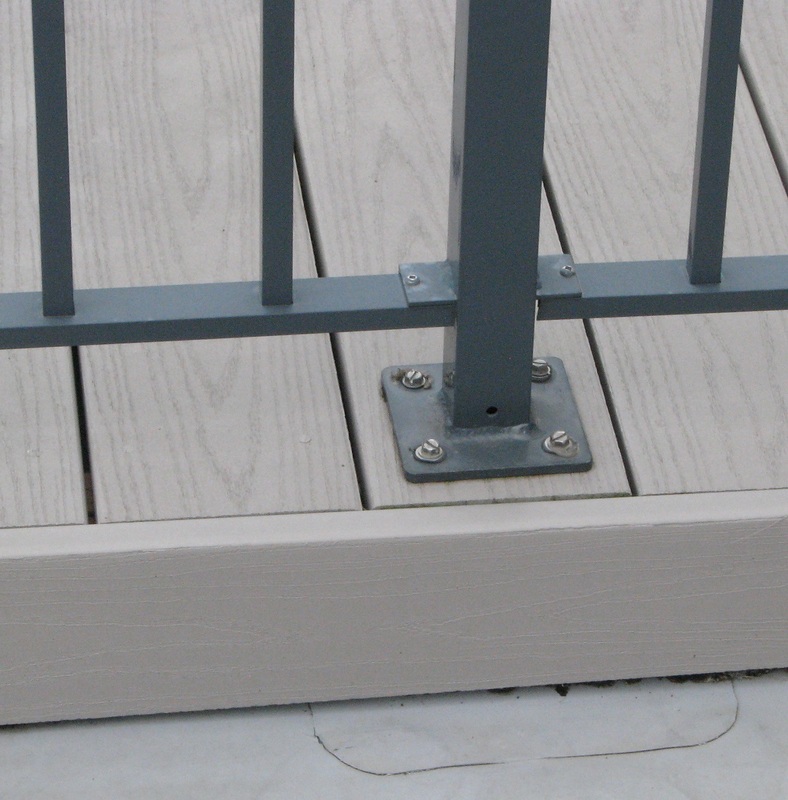 Analysis of decking material replacement options generated the benefit of cooler materials making the decks more usable on hot days. 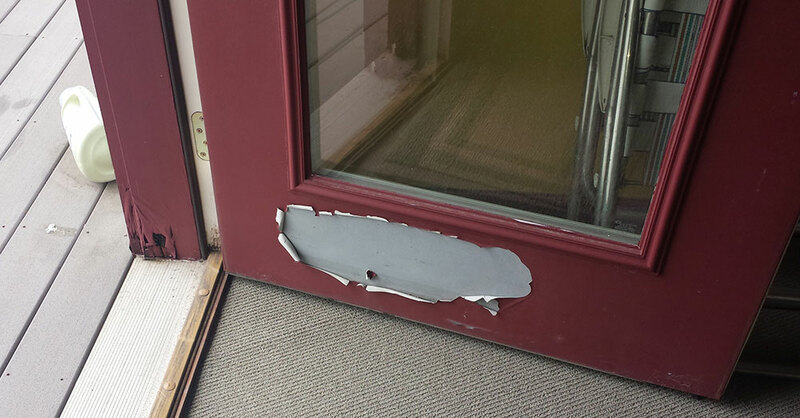 Door and frames were damaged by moisture causing peeling painting and wood rot. Replaced with metal doors and frames which were properly integrated into the water management system to prevent future problems. 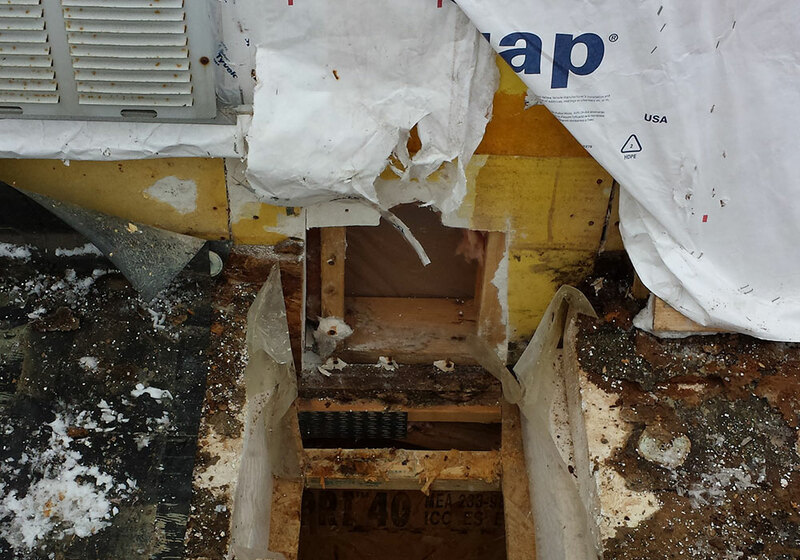 Improperly integrated vapor barriers caused rot below the windows and doors. 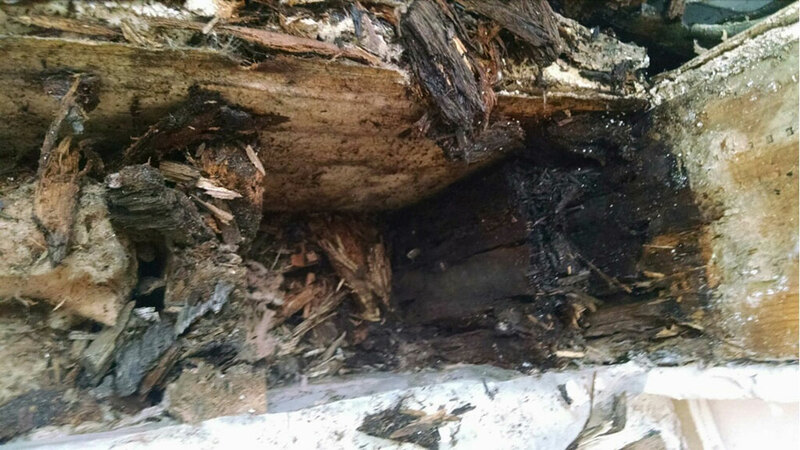 Decking areas were all damaged from moisture. 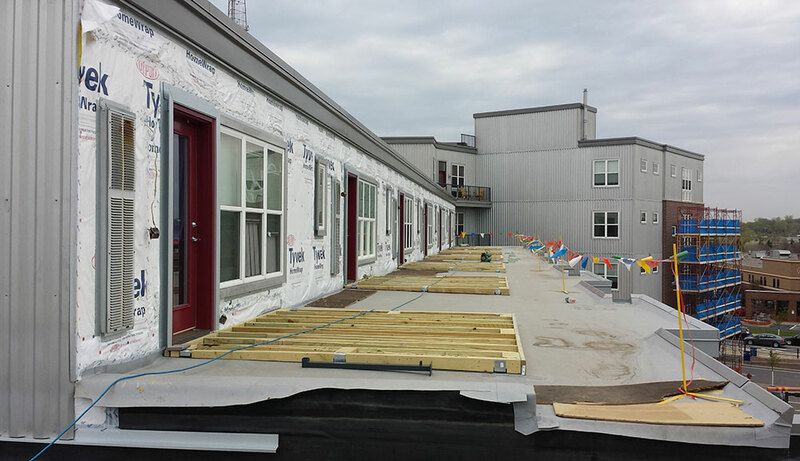 Action plan: Remove the deck, flat roof and all components down to the floor trusses. 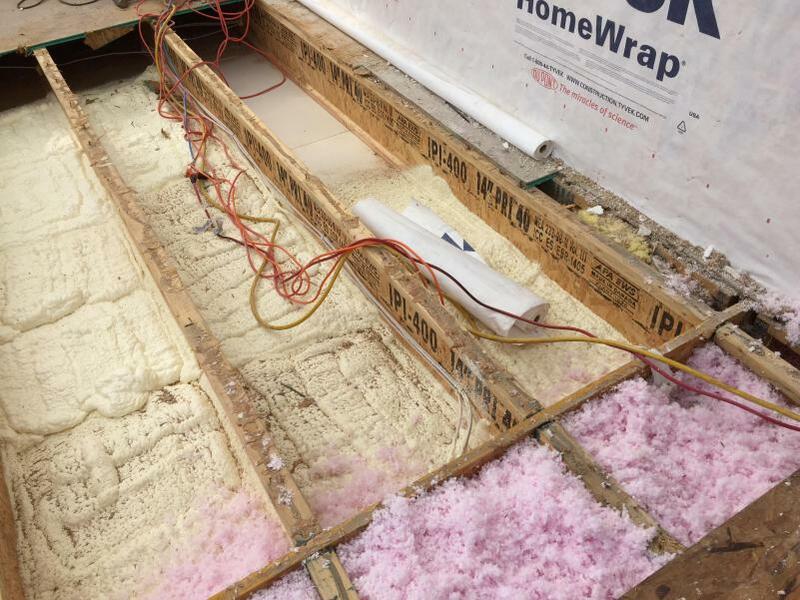 Remediation plan: Add spray foam to ceiling below to stop the vapor transmission coming from the warm side of the home. 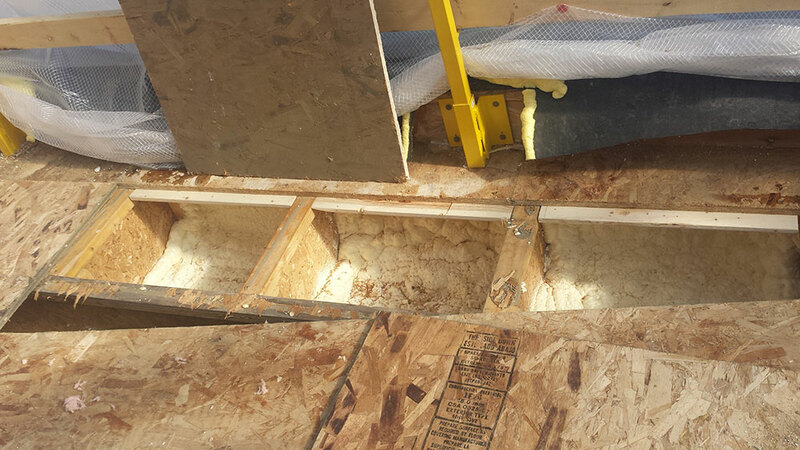 We then added blown insulation to fill the remaining space in the truss cavity. Next, installed new gray-colored TPO roofing system to replace the black EPDM. 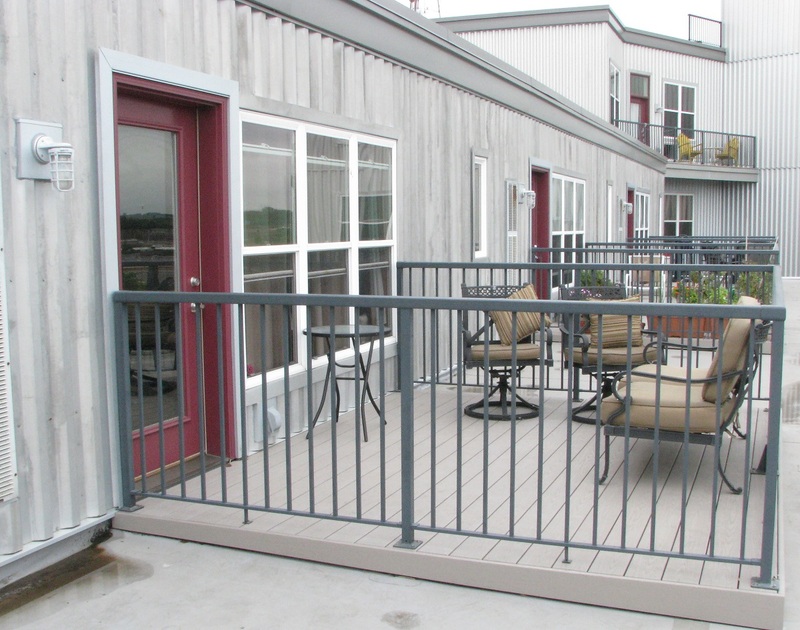 The gray reduced the sun absorption to allow more enjoyable use of the rooftop patios. 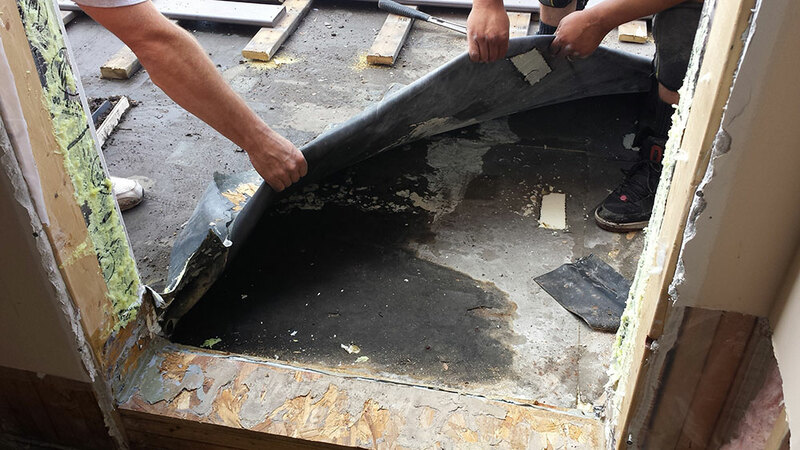 Another failure was the original deck patios were attached in approximately 46 places penetrating the roofing membrane for each patio deck causing framing members under the roofing to deteriorate. Created a new solution only involving 6 points of penetration which were each completely sealed to avoid water intrusion. 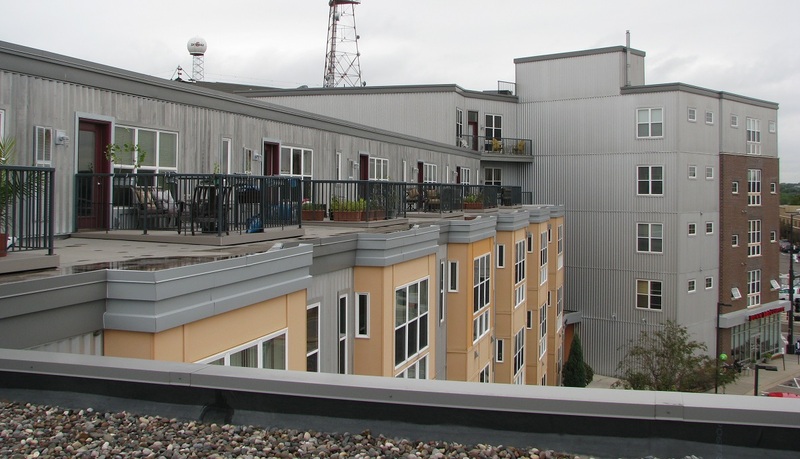 When the building was constructed, the windows were not installed correctly for a water management system. 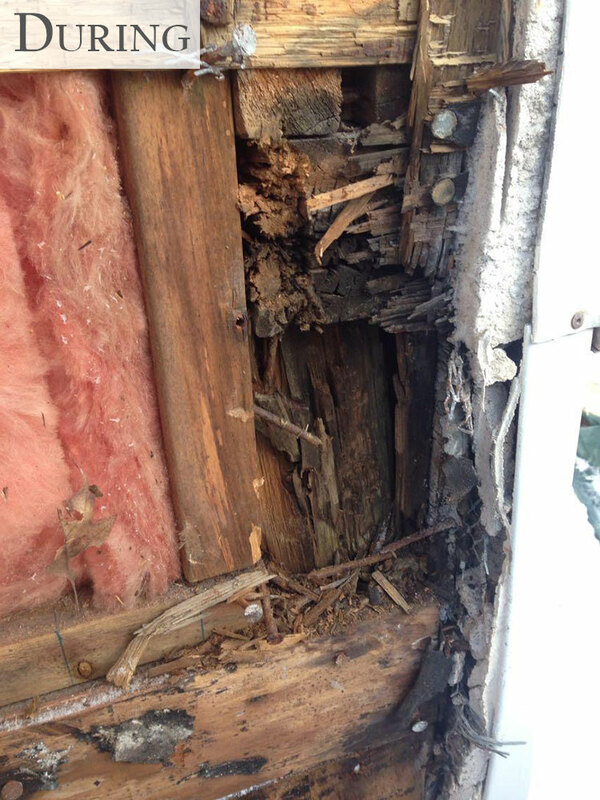 This failure allowed water to get behind the weather resistive barrier (WRB) causing rot. 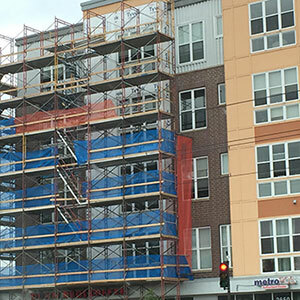 Remediation plan: Remove bricks around the perimeter of windows, remove windows from their opening, reinstall window property tying it into the water management system and into the WRB of the brick, and then installed new brick around the windows. 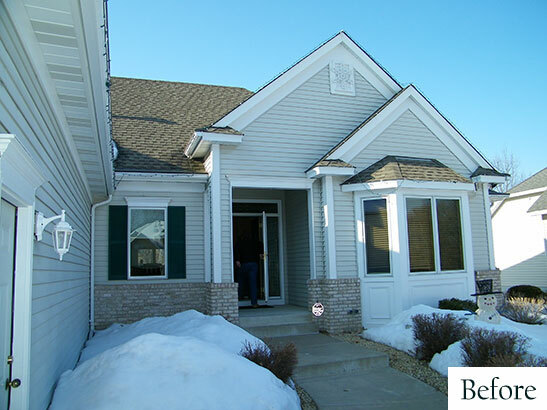 Overview: Being in a new suburban development means there can be a lot of similarity in the house styles. This family wanted to give their home a face-lift to add some uniqueness to the neighborhood. 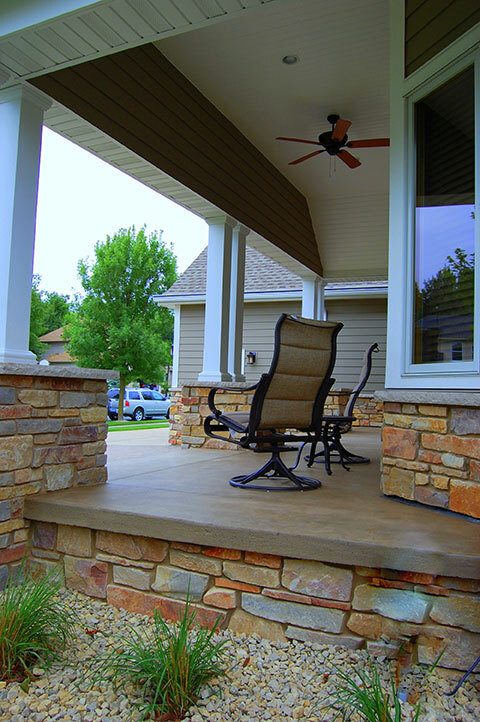 In addition, they desired a front porch to sit and relax. 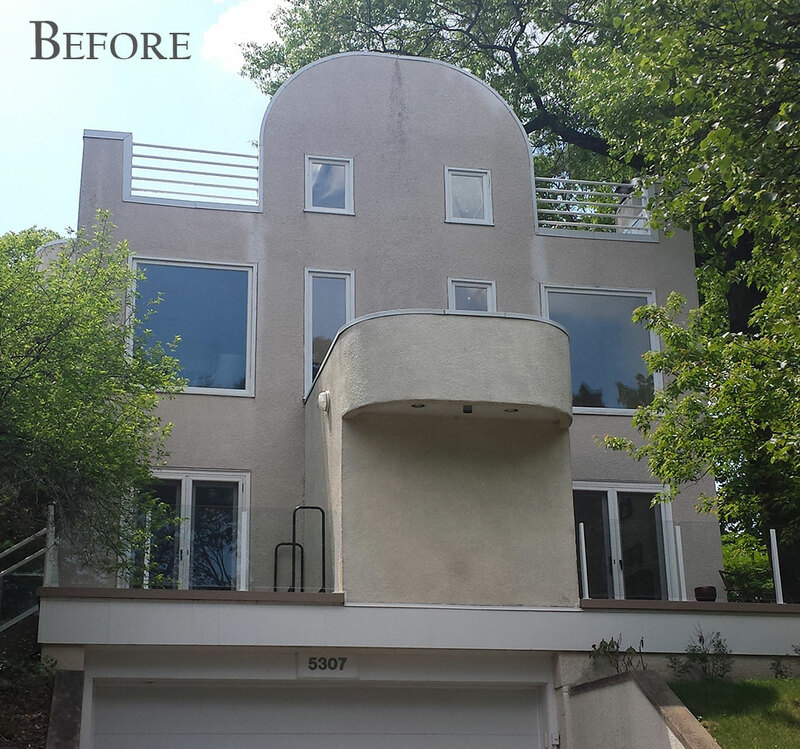 AMEK Exteriors was invited to bid on this Minneapolis design & exterior renovation because the client had seen other projects being done in their neighborhood. 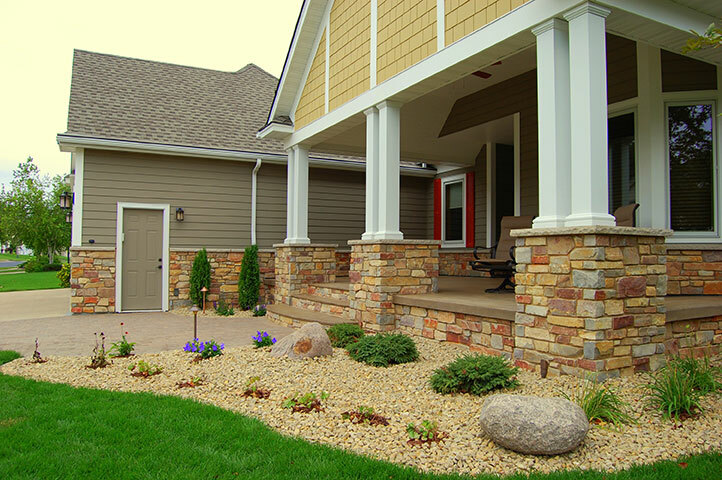 In the end, we gave the home more balance, texture and color to create the enhanced curb appeal they were looking for. Initial Analysis: The first consideration was diminishing the prominence of the garage and sliding the focus to the main entry. 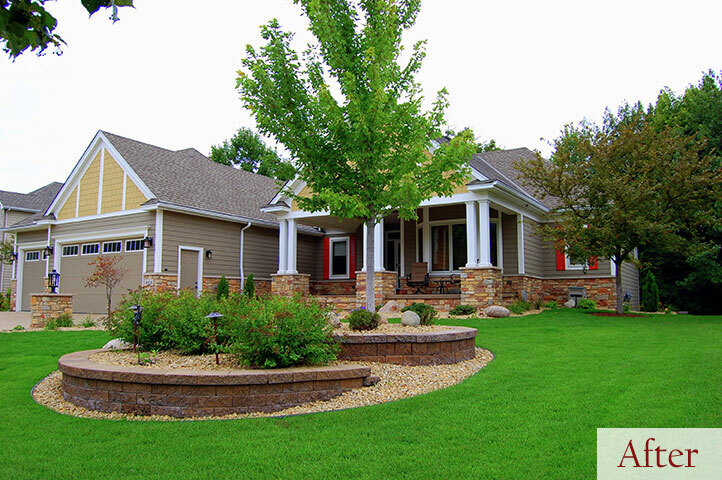 Because the couple intended to stay in the home for a long time, another strong factor was creating an enduring distinctive look using quality long-lasting, low-maintenance roofing and siding products and implementing solid construction techniques. 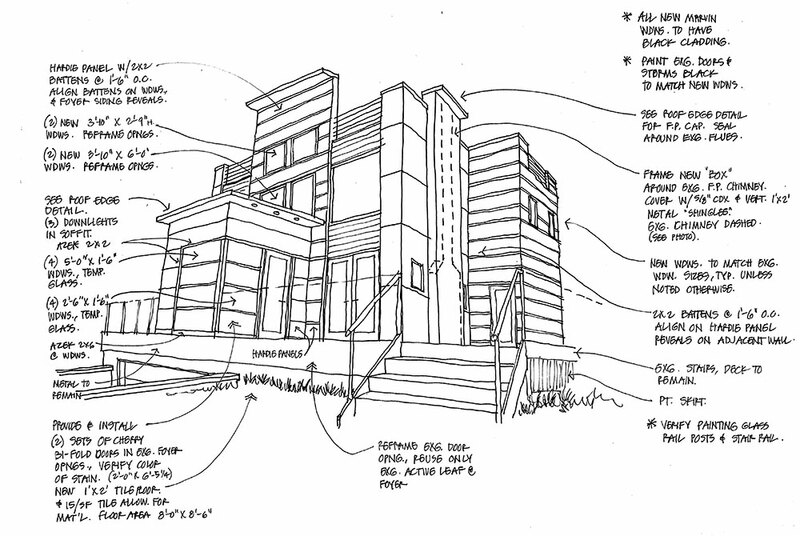 Design Plan: One of the primary design goals was to shift the main thrust and focus of the garage to the front door. 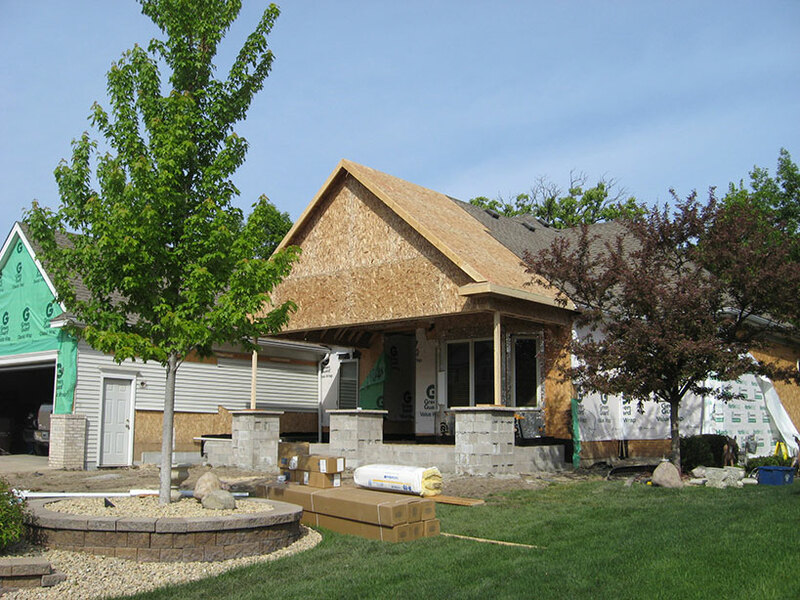 To do this, we pulled out the roof line in the front to create an inviting front porch. Eliminating one of the gables and enlarging the remaining one balanced out the proportions to the garage gable. Selecting the stone first provided a base for all other color choices. 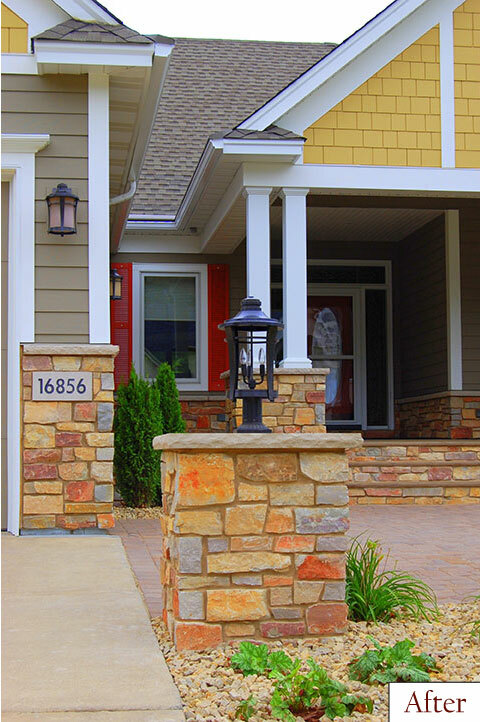 Adding the earthy yellow color and columns added depth to the home’s appearance. 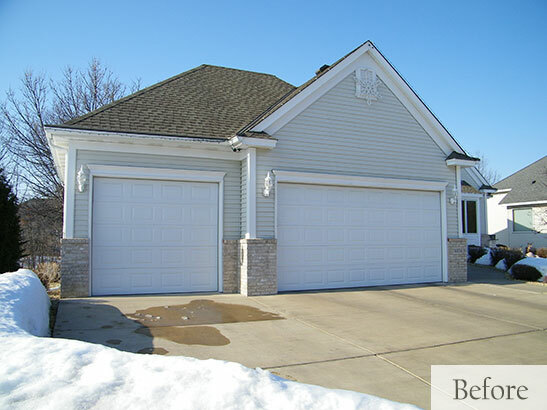 In addition, the garage doors were upgraded with windows and a darker color to connect with the stonework and to provide additional contrast. 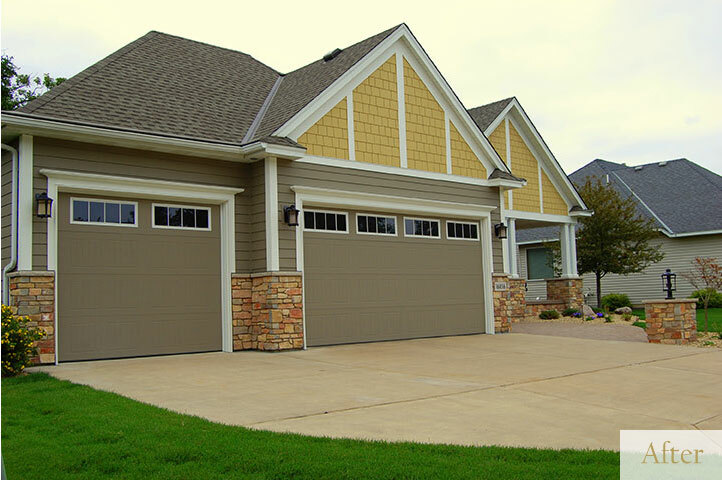 Using James Hardie siding including shakes allowed for solid, durable cladding with the option to change the color if desired. 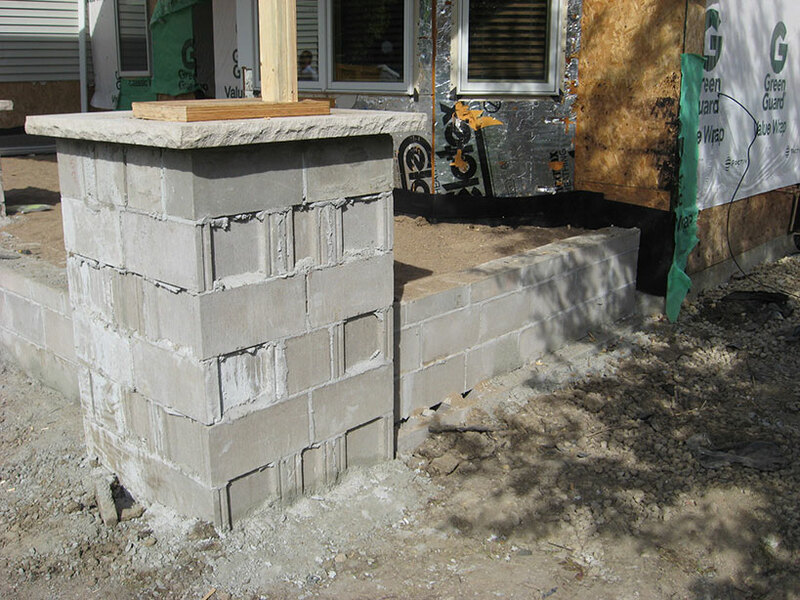 Challenges & Solutions: In order to build long-lasting columns, additional time and cost were involved to put in footings that went approximately 4 feet below grade and several feet above grade. The steps and porch floor were designed to make sure there was an overhang so water drains off the edge beyond where the stonework is. AZEK pieces known for their low maintenance were used for trim and also for the porch ceiling. Creating symmetry between the existing and new pieces was important, so the new peak over the front door had to be aligned properly to generate a unified look. Additional Project Notes: This project was the start to a trusted relationship. AMEK has done several other projects for this client. 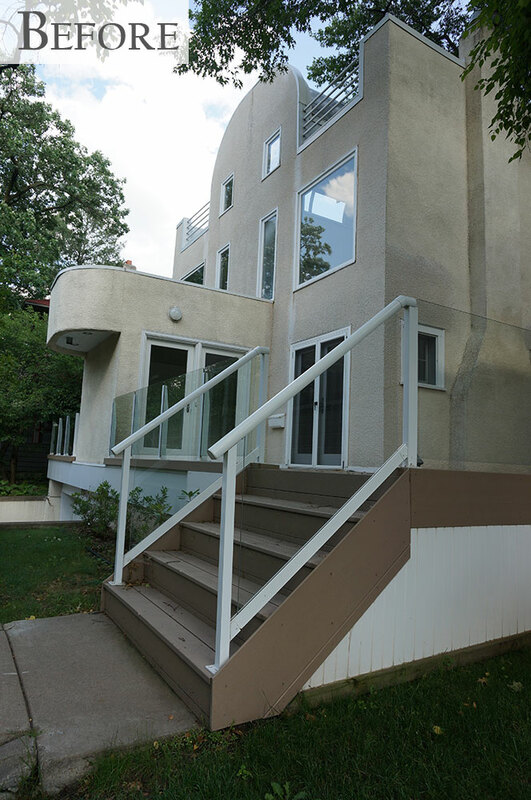 Overview: For this 1925 south Minneapolis stucco home, a poorly integrated second-story addition done in 1980 resulted in major deterioration and mold inside the walls. Primary contributors were trapped water from seepage around windows and trapped moisture from poor ventilation systems. 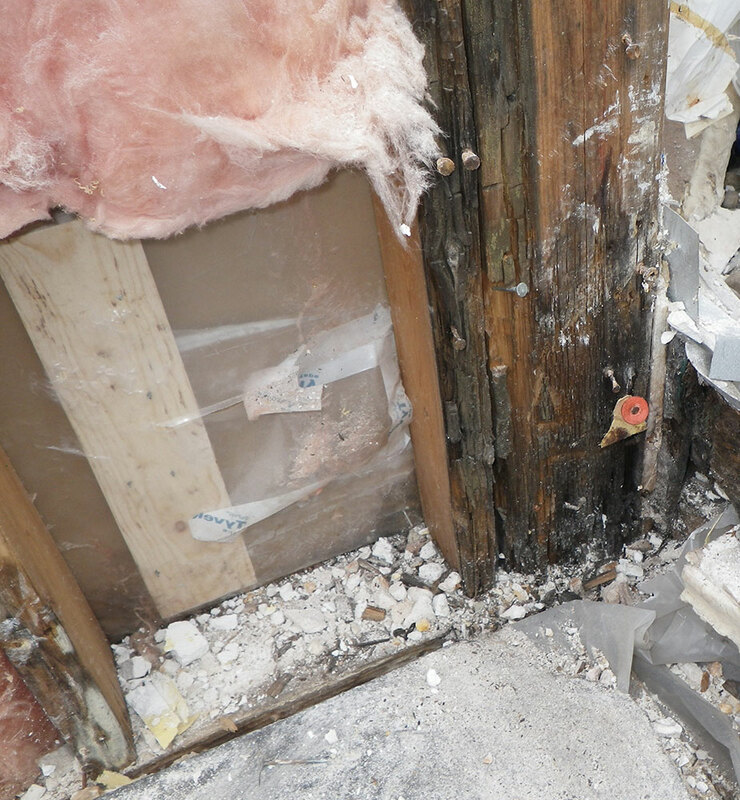 Moisture testing indicated the damage was extensive and throughout the structure. 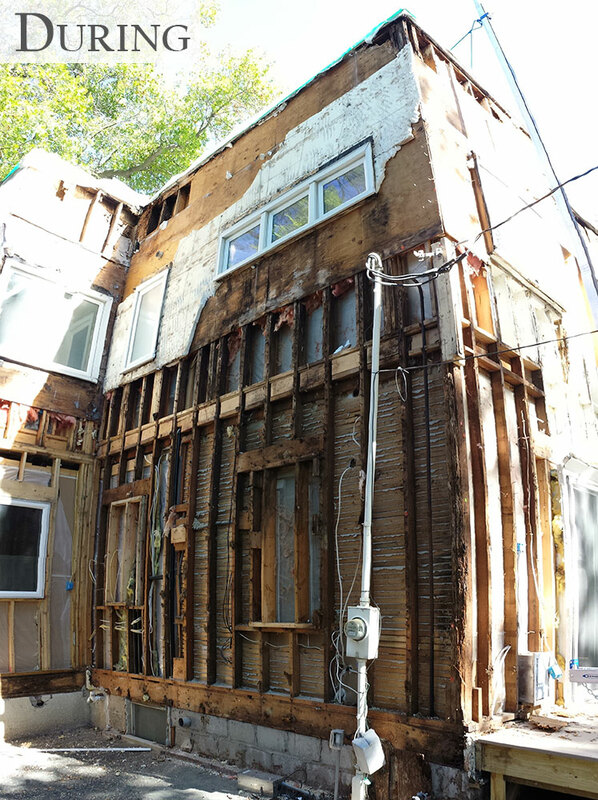 Our remedial construction services worked with our client to establish the areas which would require careful repairs to ensure the home’s structural integrity. 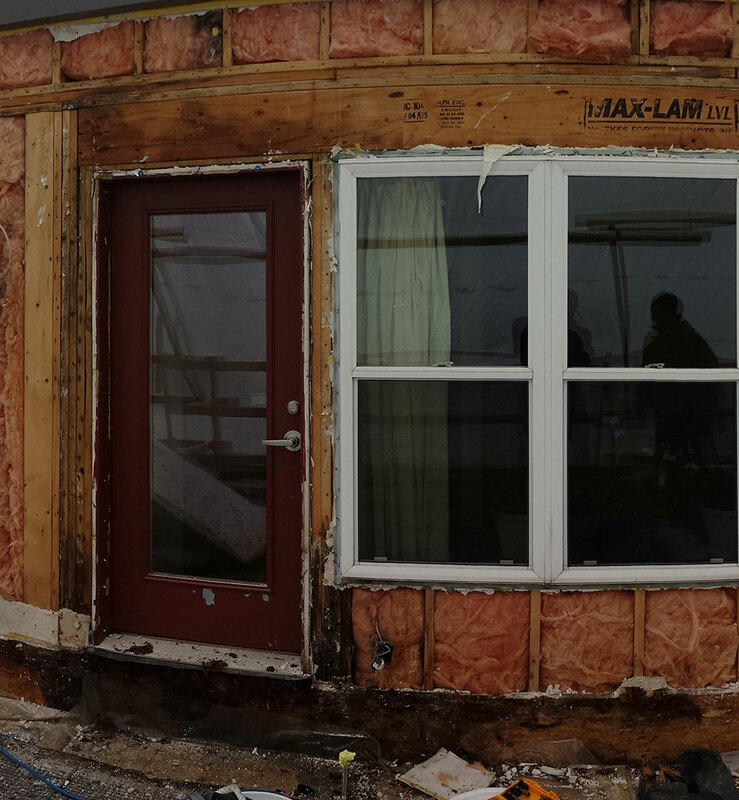 After the removal and repair of rotted sections, new sheathing and windows were installed followed by new insulation and exterior cladding. 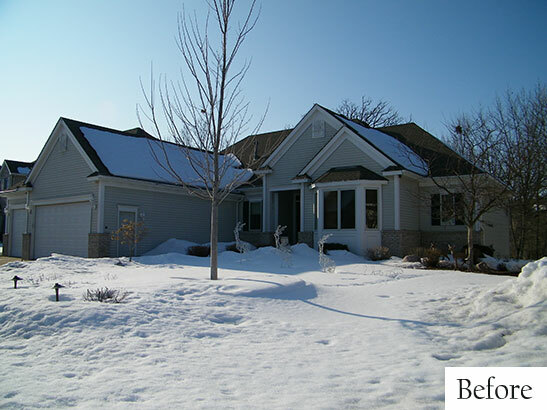 An important part of project for the new homeowners was redesigning the appearance to blend into the neighborhood. Rounded corners were transformed into modern straight lines, windows were enlarged to create more balance and were framed in black to add depth, and cedar wood was included to give warmth and texture. 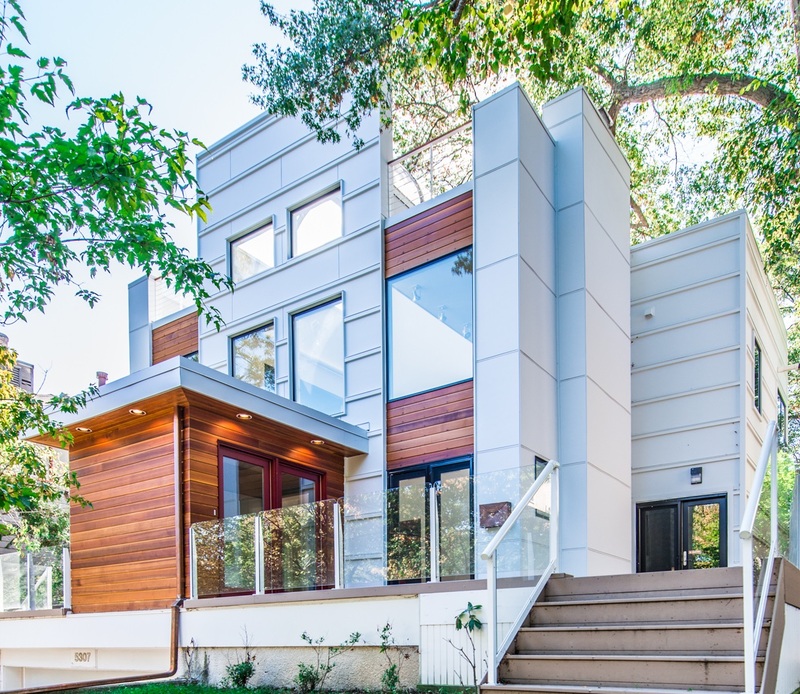 Appreciating the draw of an established neighborhood and the home’s floor plan, the family can now also enjoy living in a healthy and beautiful home along Minnehaha Creek. Initial Analysis: Construction defect caused by a second-story addition that was put on in the 1980s. 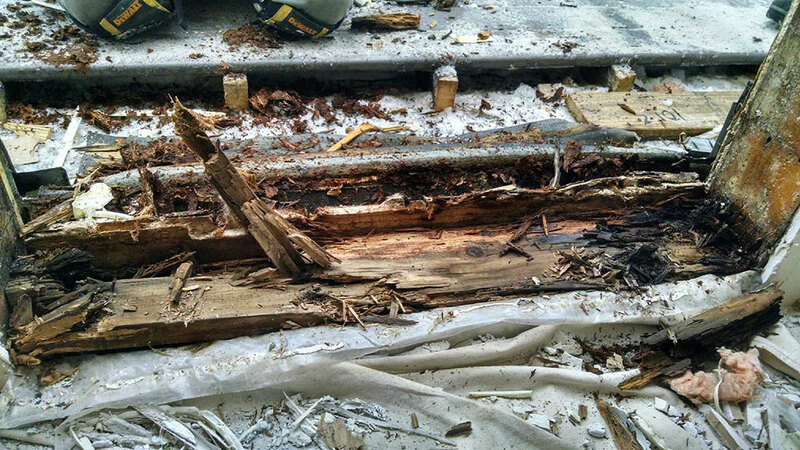 Water seeped in around windows and other connection points trapping moisture within the walls causing extensive rot. 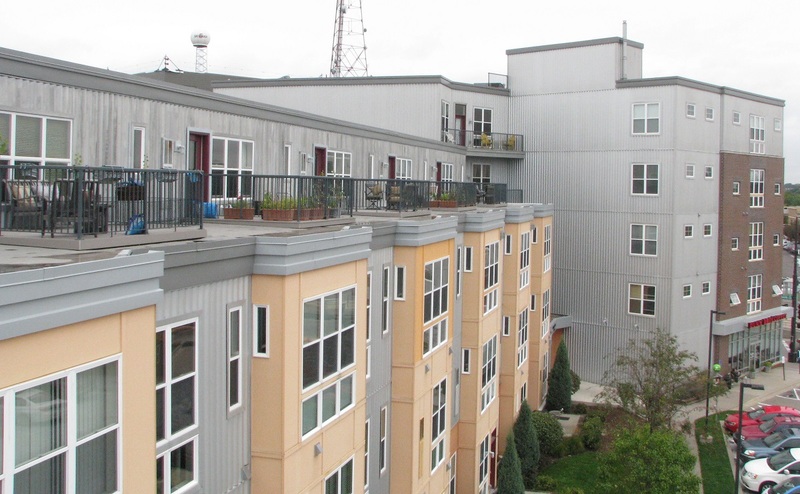 Additional damage occurred from an unbalanced ventilation system to manage building humidity. 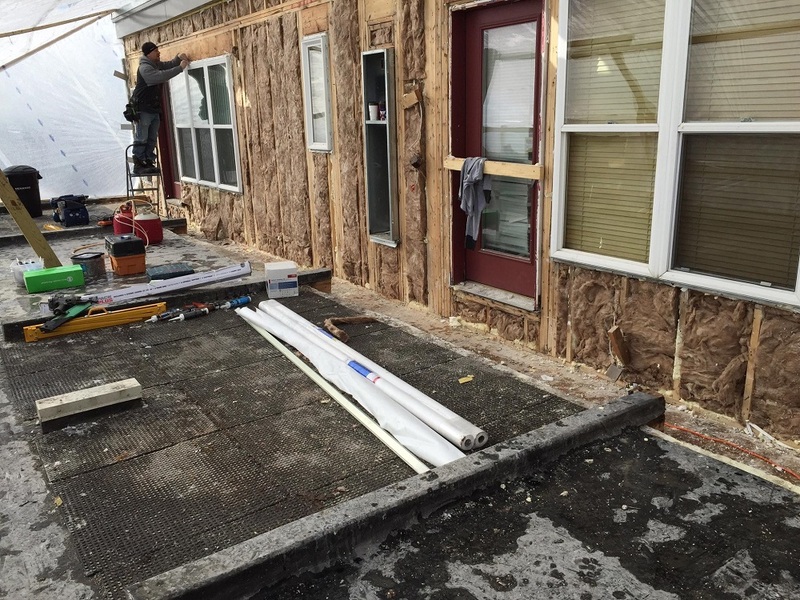 Scope: Following moisture tests, we determined the extent of damage, proposed our construction remediation process and provided an estimate of cost to see if potential homeowner wanted to purchase home and proceed with project. 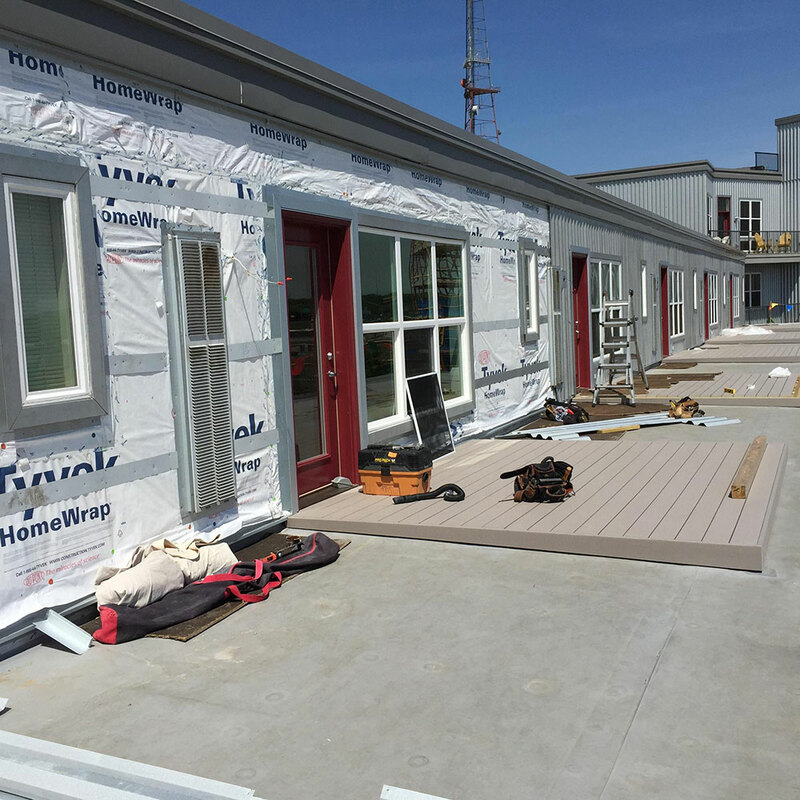 Remediation Plan: Removed stucco, eliminated rotted areas, reconstructed damaged portions, reinsulated, installed new windows, reclad with James Hardie and cedar siding, and integrated windows and siding correctly to prevent future water intrusion. Challenges & Solutions: Generating a sound plan to negotiate the sale of the house to adjust for the required remediation work. 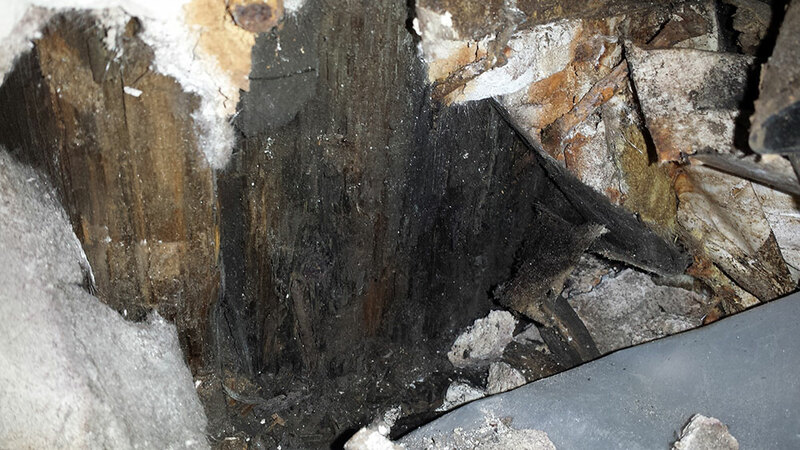 Once work began, we discovered the extent of deterioration was more substantial than the original testing indicated. 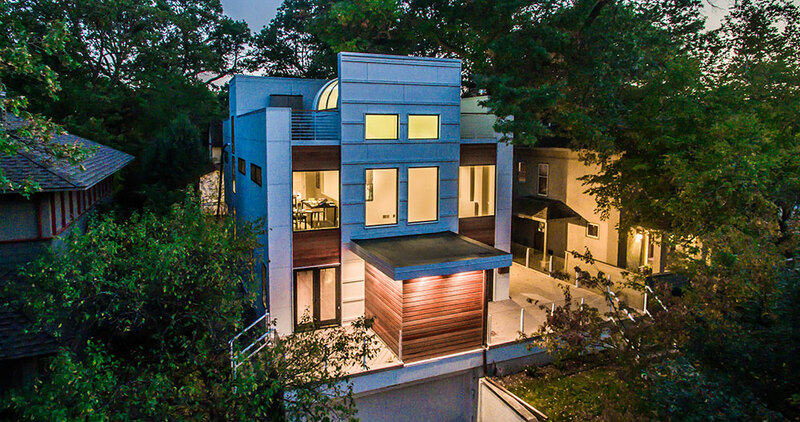 We were able to rebuild structural wall components to reestablish home’s integrity.In the end, we formulated a fresh modern design that enhanced the facade in an established wooded neighborhood. Additional Project Notes: Our project scope included enlarged windows which were selected with black framing to create dimension and balance plus add more interior light. 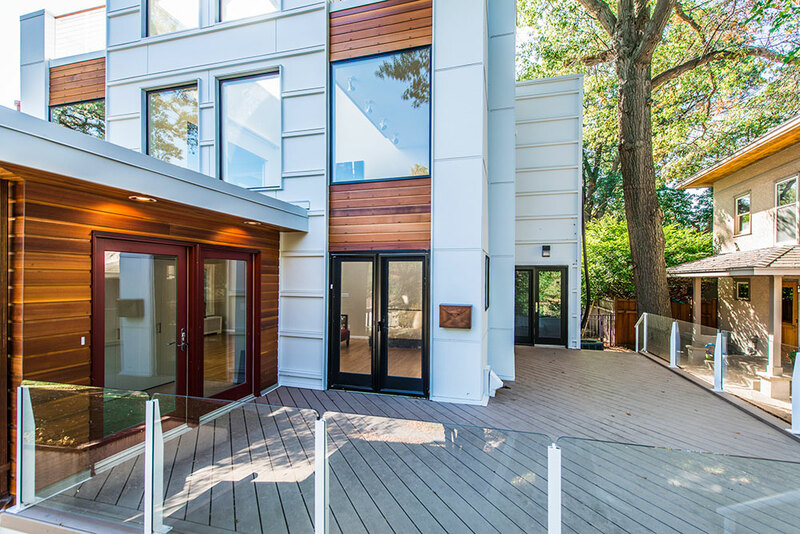 The main doorway was enhanced using color, natural wood and lighting to avoid previous confusion of what door guests should go to enter the home. The rounded radials were removed and rebuilt to continue the new angular design. The chimney was re-framed to match the straight lines used throughout the project.